Now without beating around the bush, I'd say that it must be a very tough life being a Hong Kong stuntman. Well, not only do you have to keep fairly foot-loose and fancy-free, but you've also got to make sure you don't get killed for insurance purposes. Yeah. Honest to Wok. If you don't believe me, why don't you ask the Director / Actor: Bruce Li, or his pal, Danny Inosanto? But please remember; only ask them this question for about 88-minutes in 1982. Thanks. Do you know what? Ever since Chang Wei (Bruce Li) began his very own martial arts school, all he ever seems to get in return is problems, problems, problems. Well, if it wasn't bad enough that one of his pupils, John (John Ladalski), has a moustache. Worst still, is that his old school wants to kick the living sh*t out of him for starting such a venture in the first place. Personally speaking, I think that he would be a lot better off if he'd become an insurance man again. That way he can be hired by that funny-faced film director, (Ping Ou Wei), to protect and look after one of his Hong Kong actions stars. No. Not Bruce Lee, silly. I'm referring to that other shaggy-haired loon who isn't able to perform his own stunts. You know. What's-his-face. Shang Lung (Johnny Noname). Who gets told what to do on set by that newly appointed martial arts choreographer with the yellow head-band (Danny Inosanto). Alright. I know what you're thinking to yourself. But wouldn't it be an awful lot better if Chen was a stuntman instead? Because in this capacity, he'd get some more cash for his kick, plus be able to safeguard Shang in the process. Yeah. You're most probably right, pal. Yet again, I suppose that's why what next transpires all goes to Wok when Chen is stabbed in the back. As a break leads to one hell of a fight - a pal can sometimes be right - please never get slapped in the bum - and always remember, folks, the movie making business is not for everyone. 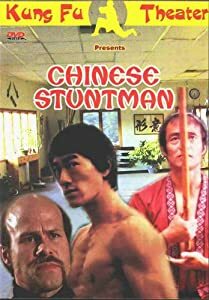 Now if you're able to look past the piss-poor production values, the first fifteen minutes of this film, plus the way that certain fight scenes appear very-very pointless in retrospect, overall, I'd say that you'd most probably enjoy watching 'The Chinese Stuntman'. And why do I say that, you may ask? Well, for two reasons really. Firstly, from my own knowledge about the main star of this flick, Bruce Li, this movie seems to be a very personal one by nature. In essence, it's about a martial arts practitioner's gradual disillusionment with the movie making industry, when he comes to the realisation that this business is all about the big-big bucks. Plus, as any good Hong Kong film fan will surely know, in the past Bruce himself has stated that he felt the same way about his own movie career. And secondly, some of the other aspects about this movie I really did enjoy, were: (1) The camaraderie between the good guy's, Bruce and John, as it did come across as though they had a personal connection in the scenes they were in together. 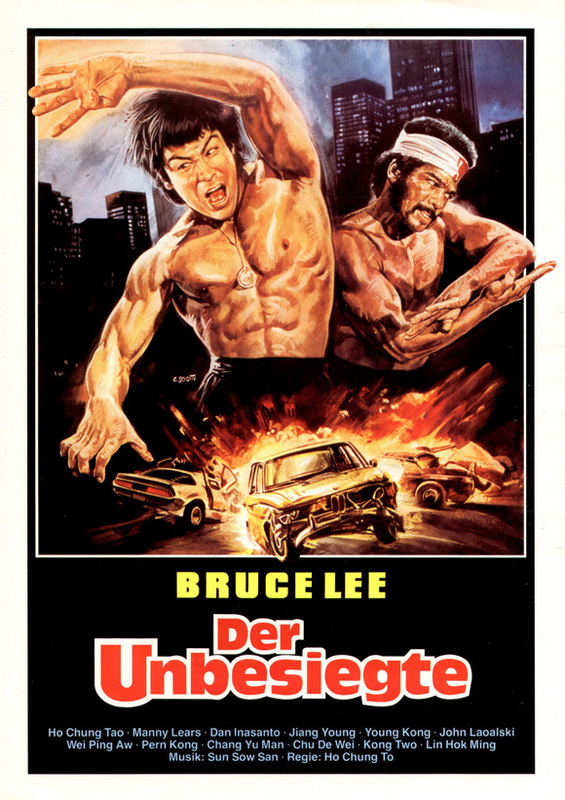 (2) How Bruce was playing himself rather than doing one of his Bruce Lee imitations for a change. In my eyes I can only compare this to when Jackie Chan broke out of his 'Bruce Lee mould' in something like 'Drunken Master'. By being an infallible man, instead of some sort of untouchable-superman. (3) What can I say! Ever since I first saw him in 'Fist of Fury', Ping Ou Wei has always managed to put a smile on my face whenever I've seen him on screen. (4) Danny Inosanto did a really good job at playing one of the bad guys in this piece. No. Better than good. He looked mean. Really-really mean. (5) I really got a kick out of the ending of this flick. It was very... errr... how can I put it? Out of the blue, yet not too jarring at the same time. (6) By in large the majority of the fighting scenes were all really-really well-polished, and executed in a very professional manner. It was surprising really, because including Bruce Li, the other action choreographer on this project was Bruce Le. Hey! Do you know what? While I'm in a bullet point mood, let's have some filmic-facts now, shall we? (1) 'Viking Films' first released this production in the Netherlands on the same day that the American musician / producer, Bill Justis, passed away -- the 15th of July, 1982. (2) Loosely translated, this project was entitled 'Dragons Shadow' in Taiwan; 'The Revenge Dragon Lee' in France; 'Bruce Lee - The Undefeated' in Germany; and 'Counter Attack' Internationally. 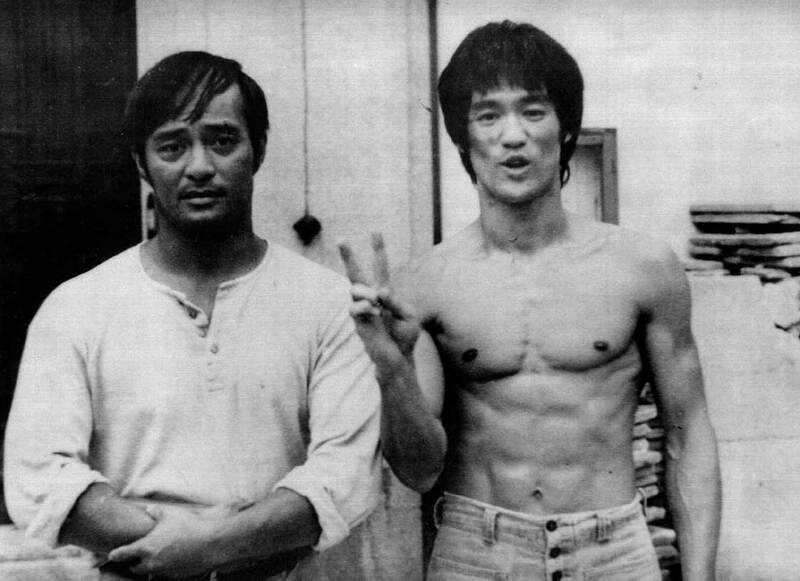 (3) As well as being Bruce Lee's protégé, starring with him on the original version of 'Game of Death' and 'The Green Hornet', it's a little known fact that Danny Inosanto has also made a cameo appearance opposite Carter Wong in 'Big Trouble In Little China', plus Burt Reynolds in 'Sharky's Machine'. (4) Bruce Li -- real name, Ho Chung Tao -- went on record and publicly stated that this was the best movie he ever starred in. (5) After appearing in this action-adventure, it took the actor, Lung Szema, eight whole years before he starred in his next one -- entitled, 'Hero Zheng Chenggong'. (6) The only bald non-Asian performer starring in this film, John Ladalski, originally comes from Chicago Heights, Illinois, and can be seen in the 1987 Jackie Chan Hong Kong flick, 'Armour Of God'. (7) Throughout his time in the movies, Danny Inosanto has been a stuntman / trainer, and once taught Denzel Washington some martial arts moves in preparation for his role in the 2010 film, 'The Book of Eli'. (8) This was the only screenplay ever written by the very obscure scriptwriter, Yuen King. Overall 'The Chinese Stuntman' was way above the norm for other Hong Kong action movies made during this era. The story was fairly good. The action was spot-on. It looked a bit naff in places. But all in all it is a very-very good film, and is well worth a watch for anyone who likes Bruce Li, and movies about movies.